Magnificent castle surrounded by a natural park with a wonderful view of the nearby lake. 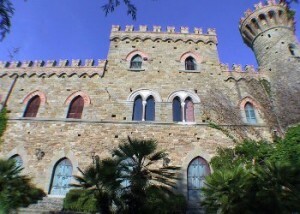 This extraordinary castle is located on the border between Umbria and Tuscany just in front of the Trasimeno lake. The interiors are finely decorated with frescoes and antique furniture. The venue has also a beautiful Mediterranean garden, a private swimming pool and tennis courts. Perfect for romantic weddings, ideal for those who want to combine the celebration or anniversary with a relaxing holiday. Distance Perugia 15 min. Cortona 30 min.